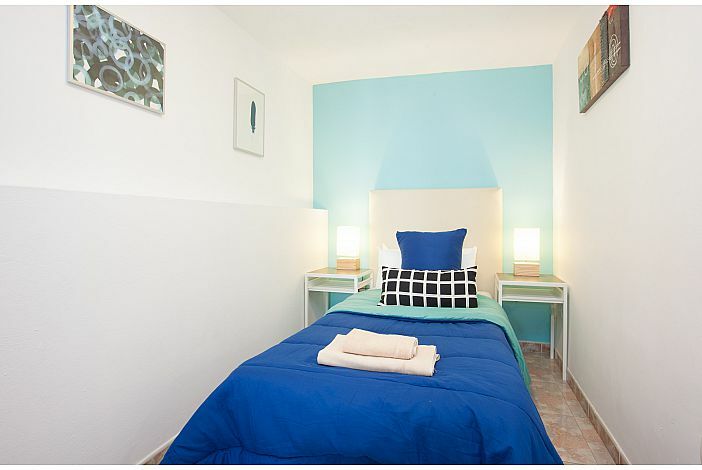 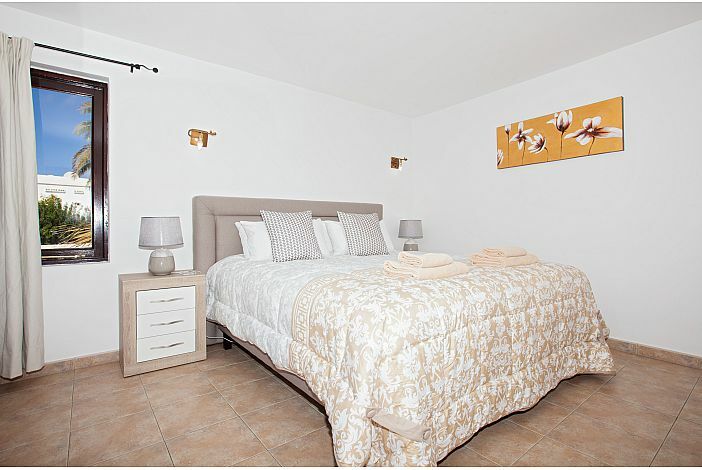 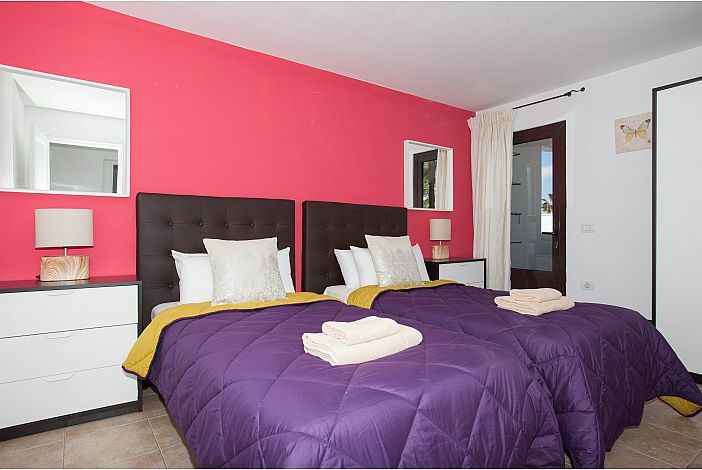 This property which has recently been partly refurbished is in an ideal location, adjacent to Villa La Cancilla. 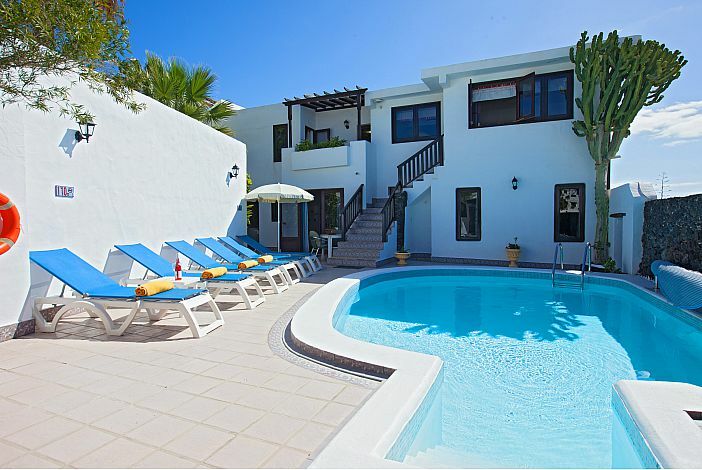 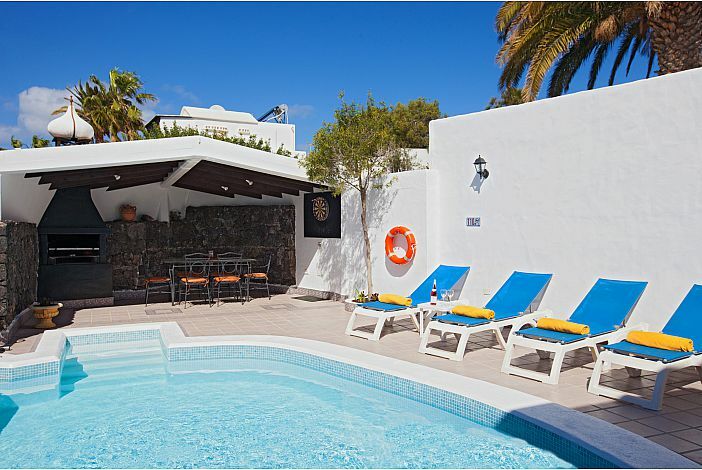 Villa Jessica offers clients the privacy of a villa with its own pool yet perfectly situated in central Puerto del Carmen just a few minutes walk from the beach, bars and restaurants. 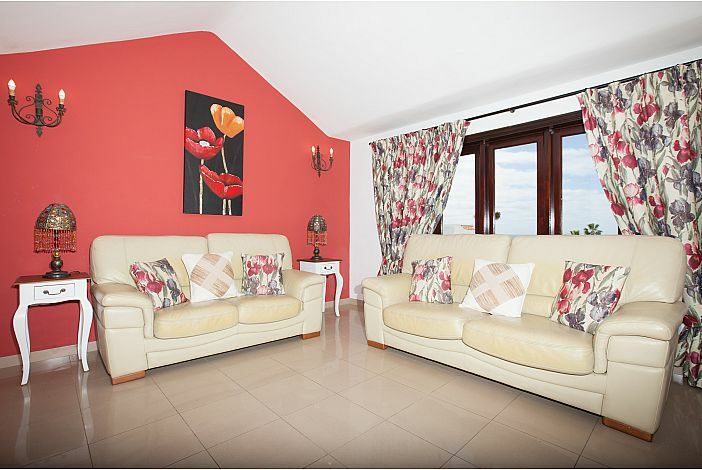 The property has sea views from the first floor. 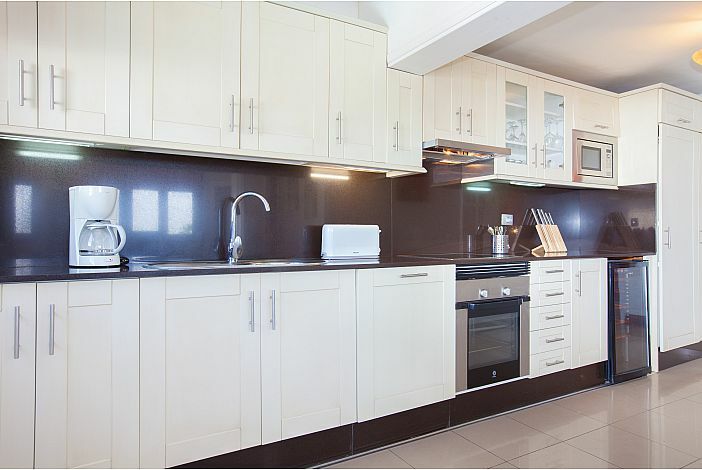 Built on two levels the first floor comprises a dining room with arched entrance leading to a modern fitted kitchen with large fridge, separate freezer, electric oven, electric and gas hob, microwave and dishwasher. 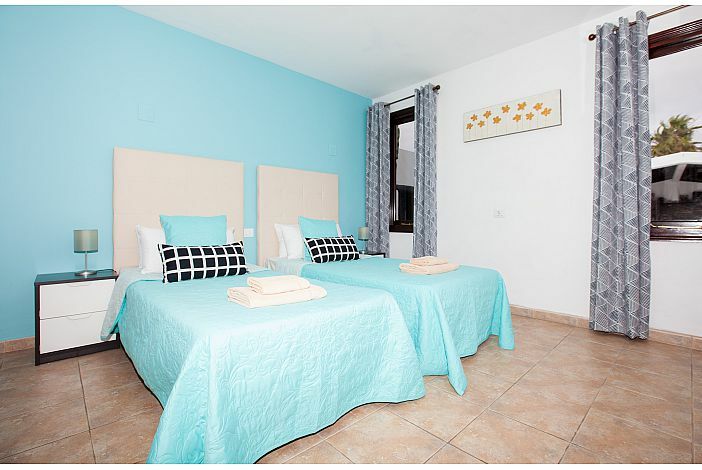 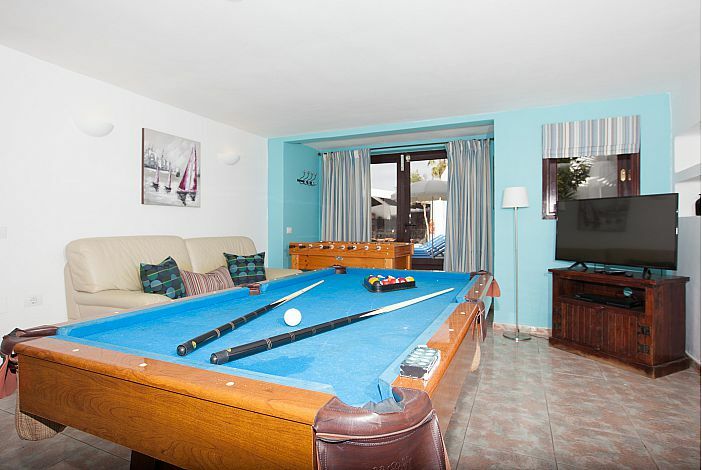 The comfortably furnished lounge with cane furniture has satellite TV (no card), Dvd, audio equipment and a picture window with views across Puerto del Carmen to Fuerteventura. 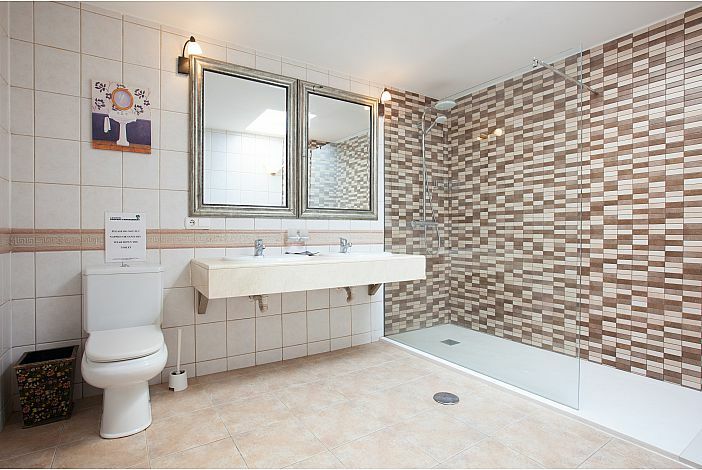 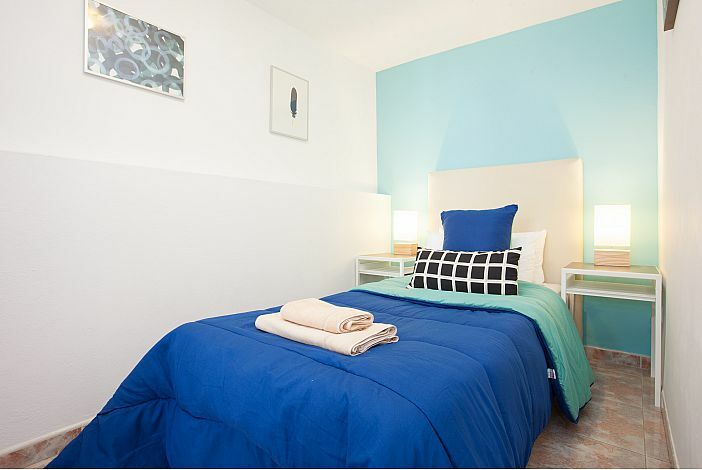 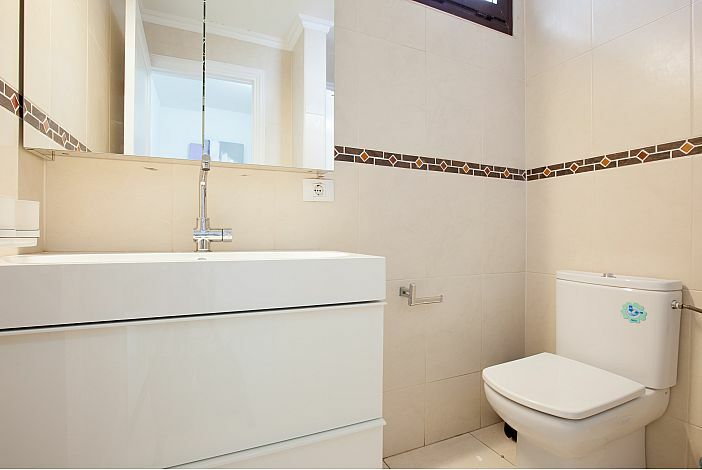 Two twin bedrooms share one bathroom. 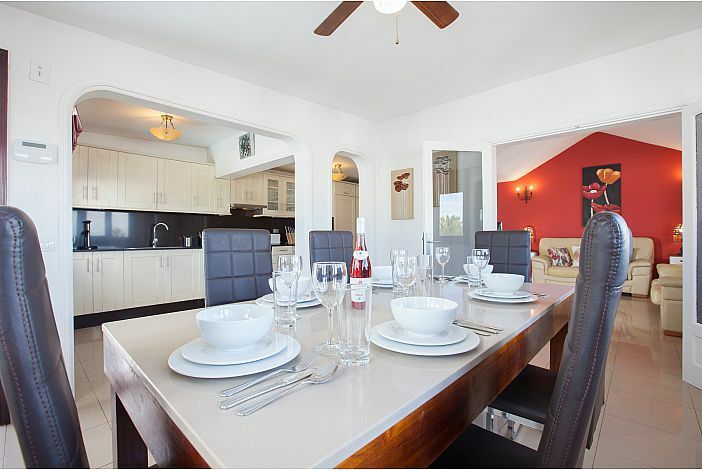 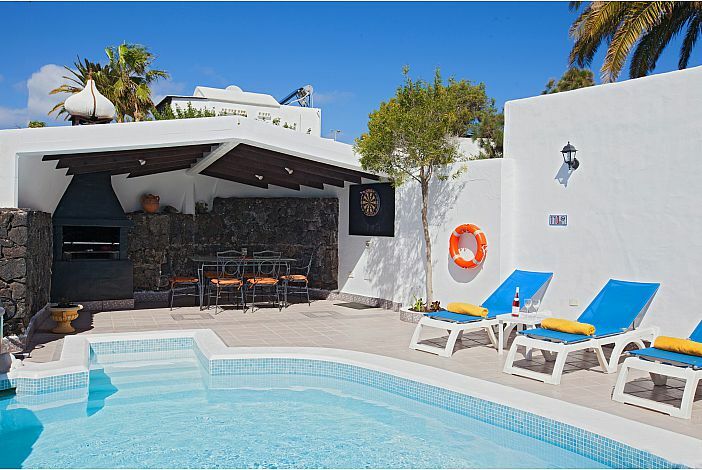 The ground floor has a large lounge with patio doors opening out to the pool area and one twin bedroom with safe and shower room. 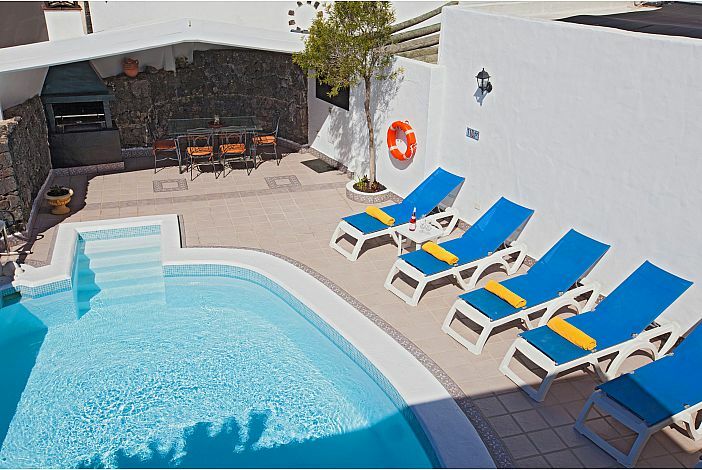 The oval shaped swimming pool (heated in the winter months only) measures twenty square metres and is surrounded by sun terraces and covered seating area and has a barbecue. 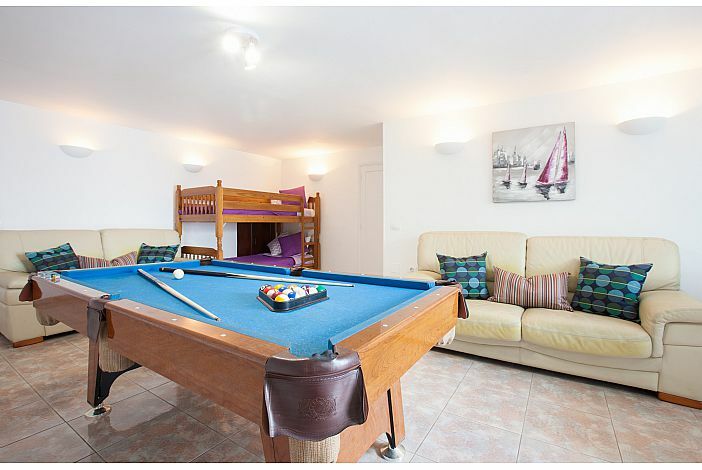 There is also a table tennis table, pool table, table football and darts for guests' use.